At Fit Factory, we believe that personal training is more than just exercise demonstrations. It's about making connections with our members, getting a good grasp on their goals and limitations, and helping them to achieve more than they ever thought possible. 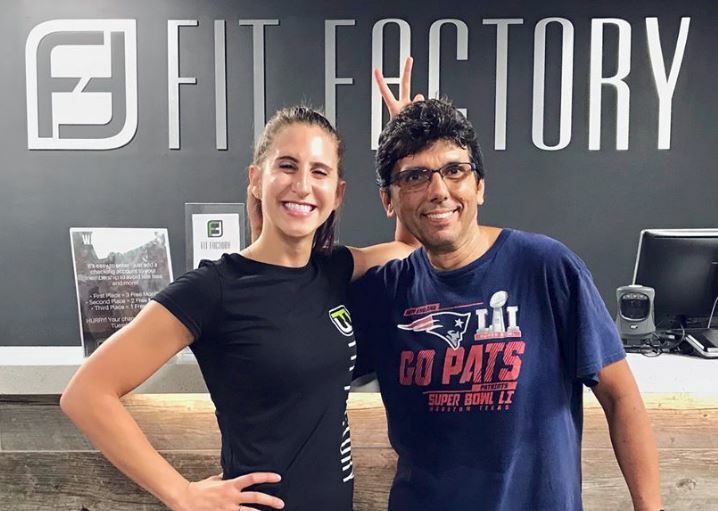 Our trainer Kelsey in Braintree and her client Gino are a dynamic duo who serve as a perfect example of all that our Personal Training Program stands for atFit Factory! They've learned from eachother and grown both within fitness, and as overall people! "When I first met Gino at Fit Factory Braintree , he couldn’t touch his toes. His back was so rounded and tight from riding his bike (he is a beast of a cycler!! ), that we spent the first 6-8 sessions entirely on the mat... stretching, foam rolling and doing muscle-lengthening exercises. Now, 4 months later, he has graduated to weights, battle ropes, ladder drills and lots and lots of squat thrusts (sorry Gino 😅). Yesterday he told me he biked 20 miles in 1 hour... the fastest he’s done since his glory days! I am so proud of this guy. Little did I know when we started back in March that I would not only get a new client, but also a new friend ❣️ He’s taught me just as much as I’ve taught him, and through the jokes, stories, and discussion of beers/movies/music - I believe we became the best versions of ourselves. Oh - and now he can touch his toes no problem 😉!" Do you have a story about your trainer and how he or she has helped you grow or reach a goal?! We'd love to hear about it! Send us an email at info@fitfactoryma.com and you might show up in our next feature! Intersted in meeting with a trainer and getting started to becoming the best version of yourself? Sign up for your FREE Fitness Consultation here!